Louis Farrakhan To Lead 'Million Man March' In Jamaica? 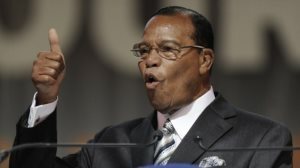 Home Sideshow Louis Farrakhan To Lead ‘Million Man March’ In Jamaica? AFRICANGLOBE – Nation of Islam Leader Louis Farrakhan will be attending Jamaica’s ‘Million Man March’, to be held on October 19. Details of Farrakhan’s participation will be announced today at a press conference to be held at the Jamaica Pegasus Hotel in Kingston. The Million Man March — the brainchild of Farrakhan — was first held in 1995 and was dubbed “one of the most historic organising and mobilising events in the history of Black people in the United States”. Jamaica will be hosting the event for the first time. In a press release yesterday, the Nation of Islam said its main objective is to see more than one million black men heed the call to declare their right to justice, as well as to atone for their failure to accept responsibility as heads of their families. Formerly known as Louis X, Farrakhan was mentored by Malcolm X and was appointed national representative of the Nation of Islam by its long-time spiritual leader Elijah Muhammad. Farrakhan was preceded by Warith Deen Mohammed as leader of the Nation Of Islam. He has made several visits to Jamaica over the years, including attendance at the funeral services of late former Prime Minister Michael Manley and former minister of national security Ambassador Dudley Thompson.